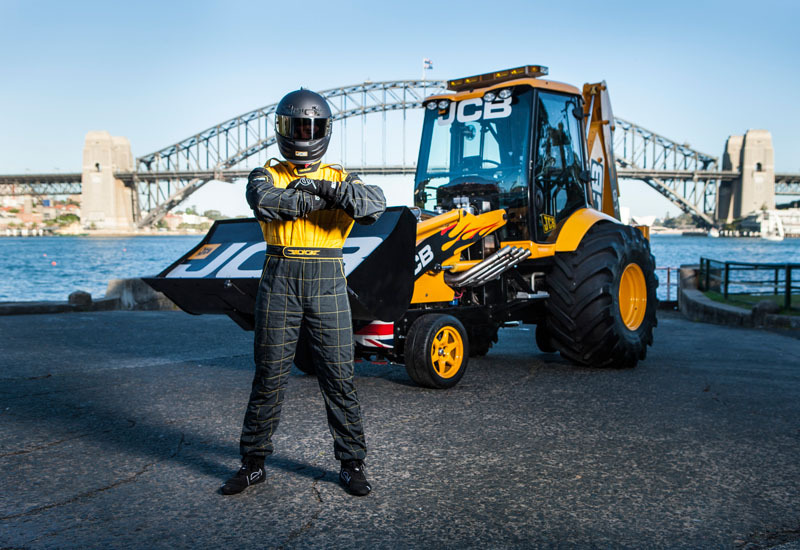 The world-famous JCB GT was crowned the fastest digger on earth after reaching speeds of more than 70 miles an hour in Australia. The JCB GT – originally designed to perform high-speed wheelies at racing events – made the attempt in front of independent record officials at Bathurst, near to Sydney. Today Guinness World Records confirmed that the powerful JCB digger was officially the fastest backhoe loader in the world with a speed of 72.58 mph (116.82km/h). To celebrate the win the JCB GT went on a tour of Sydney and took a bow for photographers in front of other world-famous icons – the Opera House and Harbour Bridge. The latest record is not the only one that JCB’s backhoe holds: the machine has been the world’s biggest selling backhoe loader for 14 consecutive years. The company has made more than half a million backhoes in the past 61 years since inventing the machine in 1953. The JCB GT first made its debut in 1988, was made of fibreglass and aluminium and powered by a V8 Chevvy engine. It was driven by long-serving employee Malcolm Grindey, who spent two years at the wheel of the JCB GT, demonstrating its capabilities all over the world – including an appearance at the Formula One Australian Grand Prix in 1990. Normally based at JCB’s HQ in Staffordshire, UK, the latest JCB GT has a loader and digger end made completely out of aluminium. It went to Australia to perform at car events, including the Deni Ute Muster in Deniliquin, NSW and the Supercheap Auto Bathurst 1000 in Bathurst, NSW. With a light weight steel chassis and JCB Fastrac tractor rear axle, the JCB GT was originally designed to do wheelies to thrill crowds at motor racing drag strips in the USA.